Right on the heels of Microsoft’s impressive press conference was Sony’s just a few hours later. With the company continuing their stronghold leading the industry in hardware sales, it was very possible that Sony’s press conference would be full of a lot of crunched numbers. Be that as it may, it wasn’t, and Sony followed Microsoft’s best conference since their inception with what might as well have been Sony’s best press conference as well. Sony certainly had no shortage of games, and the first thing shown after the welcome remarks was the long awaited look at The Last Guardian, and it wasn’t just a hype trailer. 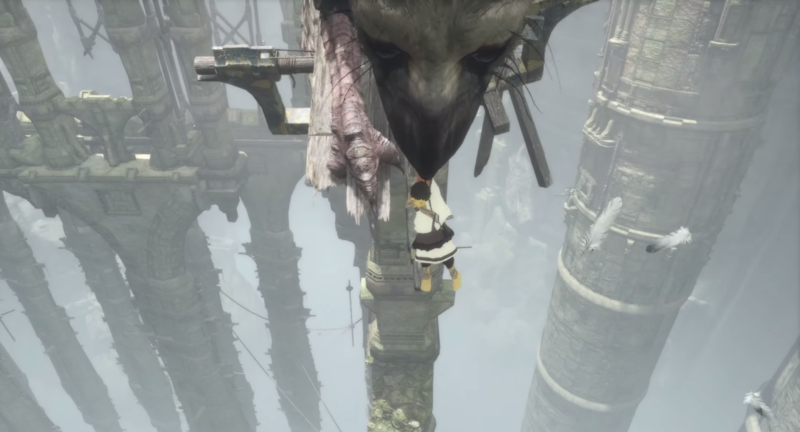 Attendees and fans alike were treated to gameplay where they saw a young boy carelessly run around and constantly nearly fall to his death before being saved by a giant feathered beast. Developed by Sony’s Japan Studio, The Last Guardian is slated for a 2016 release. Following the expected roar of an applause for The Last Guardian was Guerilla Games showcasing a new IP that takes place in an apocalyptic world, which surprisingly wasn’t a first or third-person shooter. The game is called Horizon: Zero Dawn, and it follows a physically capable woman fighting machine beasts. The game looked like a cross between Monster Hunter and MGS3 as both heavy action and stealth were involved. The game is also slated for a 2016 release. A short new trailer for Street Fighter V was shown, featuring newly confirmed characters Birdie and Cammy. Street Fighter veterans should be familiar with the two, as Birdie was featured in the Alpha games (except he’s ridiculously huge now and carries a chain) while Cammy was a fixture in the series before Street Fighter IV. A beta for Street Fighter V is due out next month while the game is expected to also release in 2016. Now if you’re anything like me, you’re probably starting to notice a pattern here. Everything shown this far into the presentation is being released on 2016, but luckily, that trend took a break here. The next expansion to Destiny, The Taken King, was announced to the pleasure of many fans. Destiny: The Taken King will be available on September 15 this year. Immediately after that, Assassin’s Creed: Syndicate made its appearance featuring a closer look at Evie, the game’s female protagonist. Also worth noting is the PS4 version of Syndicate will feature exclusive missions called The Dreadful Crimes, and the game will be out on October 23. While we were pretty much just treated to a game and a half to be released this year, we were also honored to have some gameplay footage of No Man’s Sky shown. When we saw it last year, it was pretty much just random exploration. Now we were treated to Star Fox-esque dog fights, and the exploration was taken up a notch when the sheer size of the game was shown. Tens of thousands of planets are available to explore. Okay maybe not that much, but that’s what we were led to believe. Either way, the game is shaping up to be something just strange–in a good way. Speaking of strange, Media Molecule showed off this game called Dreams, and I don’t understand it at all, so I can’t tell you if that’s good or bad. Finally, the gears were shifted to discuss Final Fantasy. A trailer featuring Chibi versions of popular Final Fantasy heroes were shown. The colorful game is called World of Final Fantasy, and while no release date was announced, it was mentioned that it would be exclusive to both the PS4 and Vita. In addition to that, a teaser of the Final Fantasy VII remake was unveiled. Nope, not the PC port that may (or may not) eventually make its way to PS4 with trophies, but a totally remade version of the PSX classic. You can bet that’ll break the internet. Here’s the teaser of the game celebrating its 20-year anniversary. 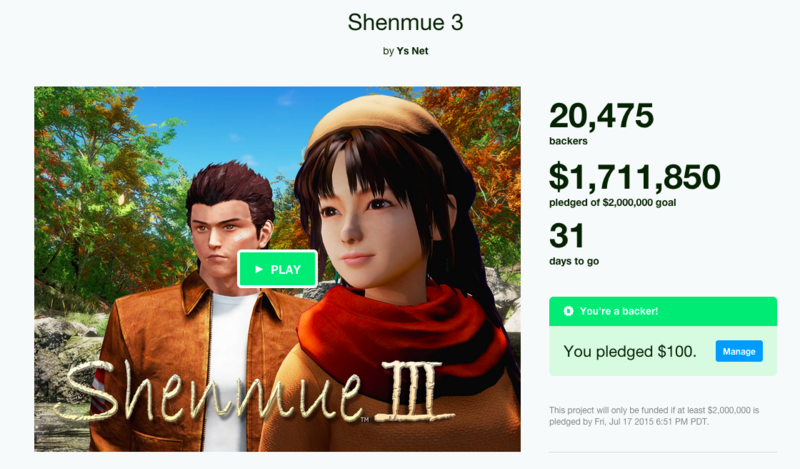 Speaking of breaking the internet, it was also announced that Shenmue III has become a Kickstarter campaign. After my $100 pledge, the project is now at $1.7 million. It has a $2 million goal. All the hype started to calm down when Devolver Digital’s four extremely violent 2D games (Ronin, Eitr, Mother Russia Bleeds, and Crossing Souls) were announced. From there, Arkham Knight made its appearance. That’s coming out next week. Then there’s Project Morpheus, Sony’s VR device. Rigs, a first-person shooter, was confirmed to be in development. Following that, after talking a little bit about PlayStation Vue, which as of right now has already launched in San Francisco and Los Angeles, gameplay of Call of Duty: Black Ops III was showcased before attendees booed the 5-minute segment featuring Disney Infinity 3.0–you know, the one that has Star Wars in it. You don’t care, you say? No matter, they still made us care because some awesome gameplay of Star Wars Battlefront came immediately after, and it’s coming out on November 17. The conference ended with a buggy gameplay demo of Uncharted 4: A Thief’s End, but it was badass. While it didn’t have the same emo darkness we saw at last year’s E3, it did show some nuances in the gameplay, including a car chase where you actually take control of a jeep, trying to escape the bad guys. Previous chase attempts in the Uncharted series were on-rails, but now the actual use of the vehicle changes everything. The game is due out next year, while the Nathan Drake Collection comes out in the fall. Too bad they couldn’t just do it all at once though, as A Thief’s End is considered to be Nathan Drake’s final adventure. Not much was shown. It wasn’t announced as to whether the $40 price of the PlayStation TV is permanent, but other than that, a 20th anniversary edition of the Gold Headset and DualShock 4 will be released, though these weren’t actually shown in the presentation. 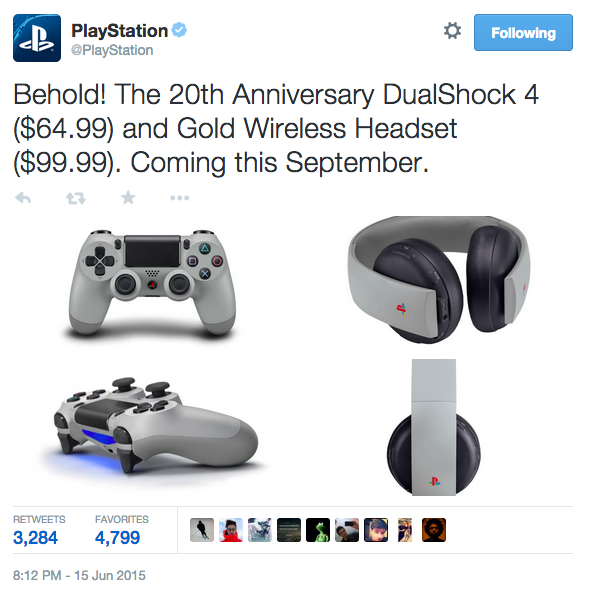 There was a brief mention of Project Morpheus, but again, nothing really newsworthy here. Sony talked a bit about how successful the music streaming has been going, especially since Spotify launched on the PlayStation 4. In edition, the PS4’s cable viewing option, PlayStation Vue has seen some growth. The service expanded tonight to San Francisco and Los Angeles to delight of the crowd. The service offers a la carte channels nationwide, allowing users to subscribe to individual channels without having to worry about buying a multi-channel bundle. In addition to that, PlayStation Plus members get discounted rates. 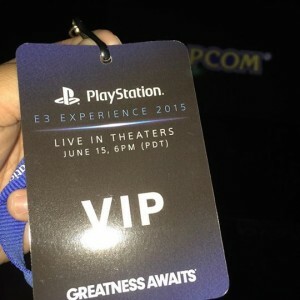 I didn’t get to take part in the podcast this evening, because I had to commute back home from San Francisco as I was watching the Sony Press Conference at the movie theatre as a part of the PlayStation E3 Experience. Mind you, if you’re not at E3, this is as close as it gets, and I totally recommend it should you ever have the opportunity. It’s free, you get free stuff, you don’t have to worry about your internet lagging, and it’s in high quality XD (which I’m guessing is Century Theaters’ version of 4K or something). Anyway, as for the actual content of the press conference, as great as Microsoft’s was that morning, I came away pretty damn impressed with what Sony had to show. They had game after game, each game more different than the other. This is the reason why I keep saying if you’re gamer that can appreciate a wealth of different genres, the PS4 is the console for you. 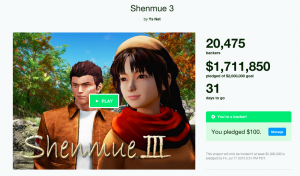 The biggest announcement to me was the Shenmue III Kickstarter campaign. I obviously wasn’t home or on the internet at the time of its announcement, but seeing as how it’s already at $1.7 million in under five hours is pretty damn impressive. I pledged $100, and I’m hoping that perhaps we’ll see re-releases of the previous two, because I never got the opportunity to play the other games, and I’m hearing they aged quite well. The Shenmue announcement, along with the announcement of the Final Fantasy VII Remake, were enough for me to forget that Microsoft announced backward compatibility, but yes–a lot of stuff has happened. Also, The Last Guardian! As a fan of both Ico and Shadow of the Colossus, I can’t help but feel relieved that The Last Guardian is truly back. It’s also pretty strange that two games most PlayStation owners are excited for is a remake of a 20-year old game, and a title that was in development since before the PS3 was out. But hey, that’s our industry for you.